1TB microSD cards are a commercial reality (or rather they will be soon enough), pairing with 1TB smartphones to offer insane amounts of storage space on the fly... for some pretty insane prices. But if you'd rather save a buck (or a thousand), you'll probably find mobile devices equipped with 64, 32, or even 16 gigs of local digital hoarding room can get the job done, especially when used alongside a SanDisk Ultra or Extreme memory card. No less than three Extreme models and two Ultra versions are on sale on Amazon right now at new all-time low prices, although it looks like you'll have to hurry if you want to "save big on select memory and storage products." The e-commerce giant is doing these amazing discounts as a "deal of the day", which means they'll all expire around midnight PST. The clock is ticking, but it might be best to take your time, as a number of internal and external solid-state drives, external hard drives, normal-sized SD cards, flash drives, and dual drives are also available at killer prices for the next few hours. You can even get a 64GB SanDisk iXpand flash drive designed specifically for iPhones and iPads at an awesome 63 percent discount, supporting high-speed USB 3.0 transfers to and from your computer and even allowing you to circumvent your handset or tablet's internal storage to save photos and videos directly on the iXpand. Back to those crazy popular and exceptionally well-reviewed SanDisk microSD cards, it goes without saying that the cheapest model comes with the smallest storage capacity. Namely, 64GB in an Extreme setup capable of achieving 160MB/s read and 60MB/s write speeds for blazing fast data transfer, app performance, and 4K UHD video shooting. The SanDisk Extreme is heavily discounted in 128 and 256 gig variants as well, although Amazon isn't listing the actual price reductions you're looking at here. Just know these bad boys have never been this affordable, including both an adapter and SanDisk MobileMate USB 3.0 reader letting you move files without any compromise in speed. 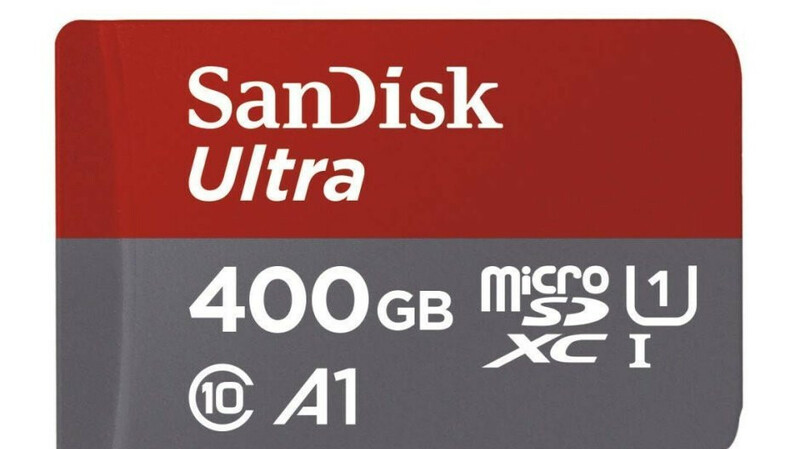 Meanwhile, the SanDisk Ultra can be purchased in 200 and 400GB capacities at cool discounts of 26 and 34 percent respectively, downgrading maximum read speeds to a still-respectable 100MB/s and capping off at Full HD quality when it comes to video recording. $62.30 for an extra 400gbs? Sounds way better than the $1449 Apple suggested on their website for the Max capacity iPhone xs.